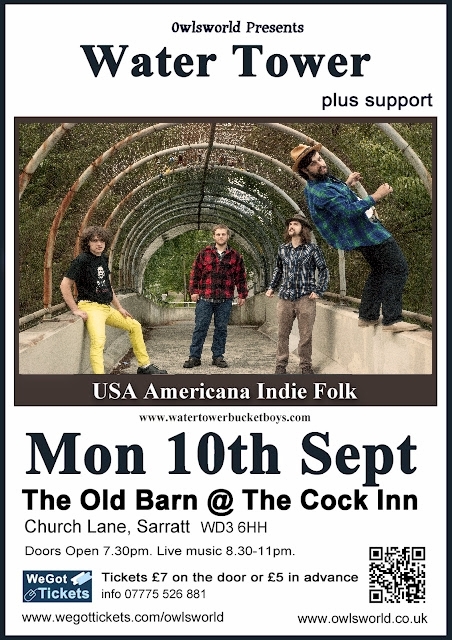 After 5 years on the road, 4 albums under their belt and multiple international tours, the Water Tower band have been brewing up a storm in the folk music world. 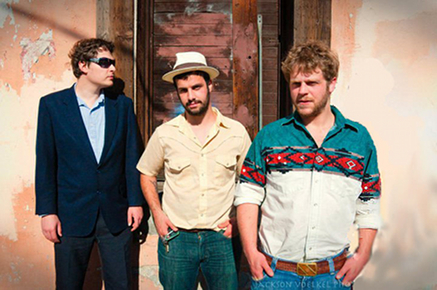 The boys have collaborated live with members of bands like Frank Turner, Kitty Daisy and Lewis, the Red Stick Ramblers, and the Foghorn Stringband and shared the stage with acts like Old Crow Medicine Show, Mumford and Sons, Wilco, Pokey LaFarge and the South City Three, and Woody Pines. They have toured extensively in both the USA and abroad, and performed live on the BBC, NPR, and RTE. Their all original sound is infectious and has spread far and wide to audiences of all ages and walks of life. Based in Portland, Oregon these young gents got their start busking on street corners, playing traditional old time and bluegrass, eventually honing their sound as a solid dance band playing square dances and bluegrass festivals up and down the west coast. However, the boys wanted to take the music further and thus, their new sound was born. Loosely based in the traditions of bluegrass, punk rock, blues, Cajun, folk and country, their sonic creations transcend all musical boundaries. Their songs feature tight 3 part harmonies and powerful instrumentals. This, combined with the lightning energy of their stage performances, has made them a favourite amongst music connoisseurs throughout the US and Europe alike.